But which working time model suits which company? How can company concerns best be coordinated with employee concerns? Which legal requirements and details must the employer pay attention to? 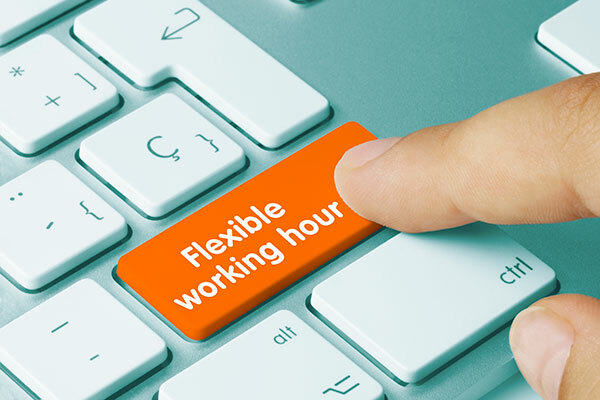 In principle, most options (flextime, functional time, annual working time) require the introduction of a working time account, which can also be managed in different ways. Our series of articles gives an overview. Although overtime should generally be avoided by the flexible division of working time, in some situations (work outside core working hours and fixed flextime) “overtime” or additional work may still occur, so that it is absolutely necessary to regulate when overtime is to be approved and how it is to be dealt with (allowed e.g. only after explicit order of the superior; compensation by crediting the working time account or financial compensation or in lieu of time off). If a combination with other working time models, e.g. home office or online training courses, will take place, a clause should also be included in the agreement, regardless of whether this has been agreed by collective agreement, company agreement, supplement to the employment contract or, in the case of new employees, directly in the employment contract. Also important is the policy with regard to how working time is documented. This can be done, for example, by using a time clock, manual records, an Excel spreadsheet or other forms prepared by the employer. The documentation as well as the periods of submission of the documentation depend on whether the parties have agreed on trust-based working hours (employees’ own recording) or time-based recording using a technical device (by the employer). In addition to the traffic light system, the so-called workload account is also possible. This model is particularly advantageous for companies that are regularly exposed to a strongly fluctuating workload. In contrast to the normal short-term account, here (exclusively) plus hours of the employees are credited to a time account over a certain period and then “saved” for phases of poor business. The employee is therefore not in a position to freely dispose of the plus hours. The reduction takes place upon instruction of the employer.